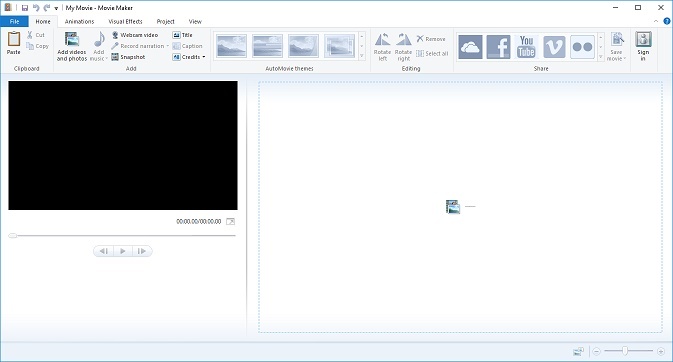 Movie Maker 2012 in Windows 10 – download standalone installer here! While we wait for Microsoft to finish the new version of Windows Movie Maker for Windows 10, some people are left in the cold looking for the old version. Search no more! We have the full installer below the picture! We have the stand-alone install wlsetup-all.exe hosted locally. The download is only available as 32-bit, there is no 64-bit version – but the 32-bit version is compatible and will run on 64-bit versions of Windows, including Windows 10. Update: Sadly, as of March 2017, the Windows Essentials 2012 installer is no longer available from Microsoft. We used to link to the Microsoft download page before our own, but I’ve rearranged the article after the official end of support from Microsoft. The bundle includes Movie Maker, Photo Gallery, OneDrive, Family Safety, Mail, and Writer. You are able to choose which items to install during the setup process, and can elect to install only Windows Movie Maker (although, if memory serves me correctly, it requires some of the files from the Photo Gallery application as well, it may make you install both – but it will tell you during the installation process). Microsoft states that Windows Essentials 2012 suite will reach end of support on January 10, 2017 – hopefully we have a new version of Movie Maker available before then, but it’s less than 3 months away at this point, and if they wait until a new “annual update” becomes available, it could be several months before Windows 10 users are graced with a new version of Windows Movie Maker.